Percy Main made it back to back wins to complete the first half of the season and find themselves in fourth place after a comprehensive victory over basement club Bedlington on Saturday. After having been promoted with the Villagers last season, Bedlington have found life a lot harder than Percy Main and find themselves rooted to the bottom of the Northumberland and Tyneside Senior League Division A1. Richie Walker was the only change to the previous week’s side and replaced Jonathan Prested who dropped down to the seconds. Skipper Mark Armstrong won the toss and decided to bat, merely because it paid off last week. This proved to be an excellent decision as they racked up 201 with Dave Anderson finding some much needed form with 41. Michael Phillips with 44 and Andrew Green who made 50 then blitzed the Bedlington bowlers as they toiled away, bar Tanney who took an excellent 5-27. In reply, Green produced a devastating display with the ball as he ripped through the Bedlington batsmen to record excellent figures of 5-18, which helped dismiss the visitors for 120. Amazingly Bedlington skipper Mccafferty scored 90 of those runs. Barry Stewart took two wickets whilst Phil Cramman and Anderson took a wicket apiece. In a top of the table clash, the second XI travelled to Backworth. Barry Errington lost the toss and was inserted into bat. Runs proved hard to come by at first on a slow, spongy pitch, however, Prested responded to being dropped in the right manner and dug in to make a solid 60. But just as he was starting to get into full flow he was dismissed when a ton looked likely. Errington made an entertaining 44 before some good running and big hitting by Ben Jenkins, Steve Peart and Steve Patterson, who made 30 each, helped Main make 227-6. In reply, Blyth Duncan blew the top order away to reduce Backworth to 17-3 as he took three quick wickets in an excellent spell of 3-21 off ten. The slow left arm bowling spin twins of Patterson and exciting junior Dan McGee then ripped through the middle order to reduce Backworth to 80-9. However, a last wicket stand of 62 helped give the scoreline some respectability before Peart removed the last man to dismiss the home side for 142. Patterson recorded figures of 4-33 and McGee 2-48. The victory moved Percy Main 43 points clear at the top as they continue their surge for promotion. 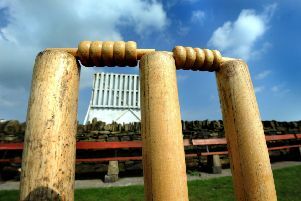 Meanwhile Percy Main Cricket Club hold their inaugural beer festival from July 10 to 12. Tickets, priced £8 if bought in advance or £10 on day, are valid all weekend. On Saturday there is a free bouncy castle and face painting for kids (between noon and 4pm) with a paying adult. In addition, The Fat Hippo will be on site selling food all weekend. Tickets can be purchased from Steve Patterson on 07949 334699 or from the club direct.